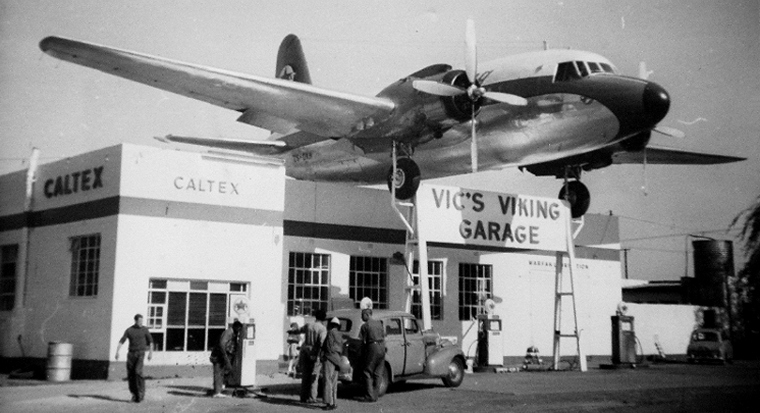 Vickers Viking ZS-DKH became famous when in January 1963 she was placed atop the roof of Vic's Viking Garage, the Caltex Service Station owned by Victor ("Vic") Edward de Villiers. For the next 25 years she stood proudly, if somewhat forlornly facing one of the then main routes south. "Meet you at Vic's" became part of the South African parlance. The Vickers VC.1 Viking, a twin engine short-range airliner derived from the Vickers Wellington bomber was built by Vickers-Armstrong at its factory in Weybridge, England. The initial production aircraft (Mark 1A) carried between 21 and 24 passengers. 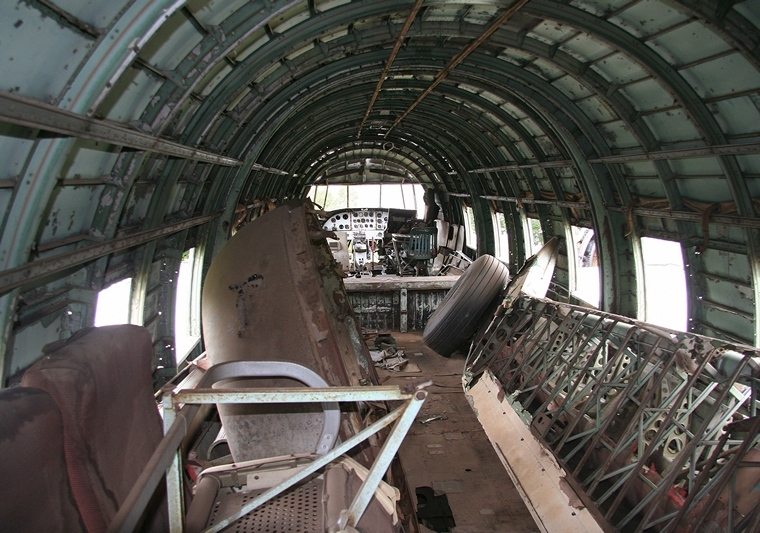 The fuselage was metal but the geodetic wings and tail planes were fabric covered and power was from two Bristol Hercules 630 fourteen cylinder two-row, sleeve valve, air-cooled radial engines developing 1,690 hp each. ZS-DKH had her first flight on 30 August 1946 registered as G-AHOT with British European Airways. During 1948 she was part of the airlift flying much needed supplies to the then embattled Berlin. On 26 September 1954, registered as ZS-DKH, she was sold to South Africa's Trek Airways and operated by Protea Airways, a subsidiary of Trek. For many years she flew the South African European route flying hundreds of passenger safely and leisurely in relative comfort over the vast almost uncharted expanses of Africa. Amongst the many passengers, some, who no doubt had their own claim to fame, was American Country and Western singer Jim Reeves who's records sold by the thousands in South Africa. Jim toured the country in late 1962 and starred in the locally produced movie "Kimberley Jim." "Jim and his wife signed her logbook that today is still in possession of Vic's children and that now hopefully will be re-united with her to form part of the museums extensive collection of aviation memorabilia. In 1962 and with 13, 881 hours on the hobs meter she was retired at Rand Airport where she caught the eye of Vic who made Trek an offer that was accepted. On 18 December 1962 she flew her last flight, a short hop from Rand to the old Baragwaneth Airfield, a short distance from Vic's service station. In January 193 her wings were removed and she left by road for Armadale and the Caltex Garage where, still looking splendid, she was lifted by crane onto two specially constructed steel supports attached to her undercarriage in the engine nacelles. Her tailwheel resting on the roof, she effectively served as the roof of the forecourt. She stood in the harsh Highveld sun for the next quarter century. As her cloth covering degraded Vic patched the holes by riveting sheets of aluminium to cover the bald spots. 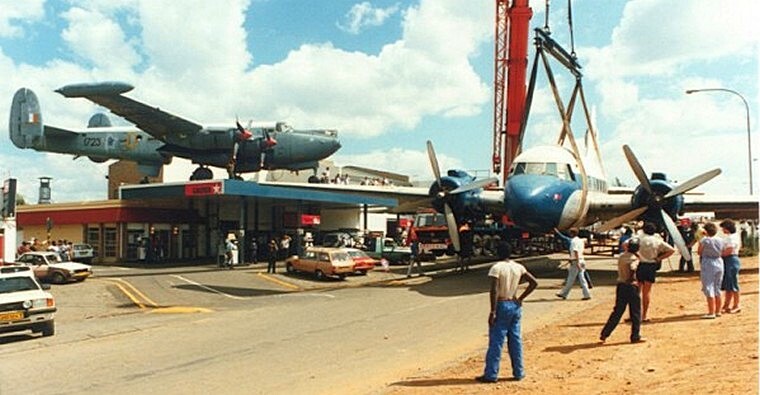 On 5 March 1987, the Viking was replaced by SAAF Avro Shackleton 1723 and donated to the SAA Museum Society. 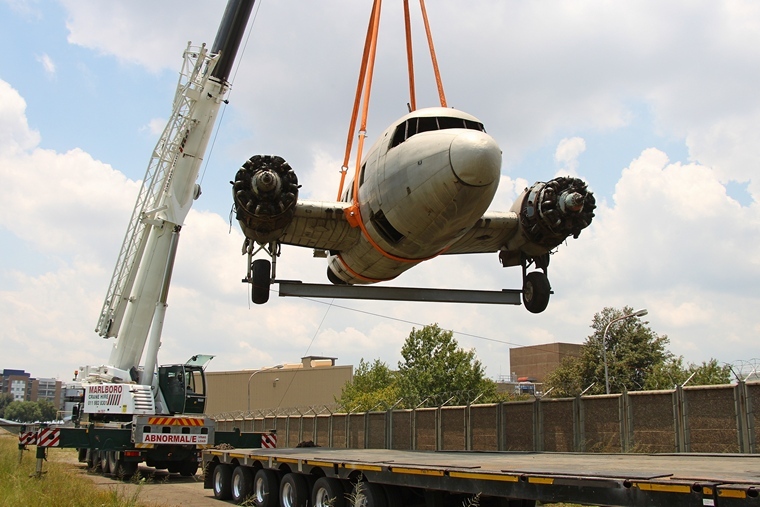 She was craned down from her perch, her wings were again removed and she was towed to O. R. Tambo International Airport, then Jan Smuts International Airport. For the next twenty eight years she stood forlornly not too far from the engine run-up bay at OR Tambo International Airport sharing space with the Museum's Constellation and close to the technical hangar where the Junkers was and still is housed. The Highveld weather is not conducive to long term open aircraft storage and after 55 years of being exposed to the harsh Highveld climate she eventually was as little more than a tatty hulk patiently awaiting her fate. 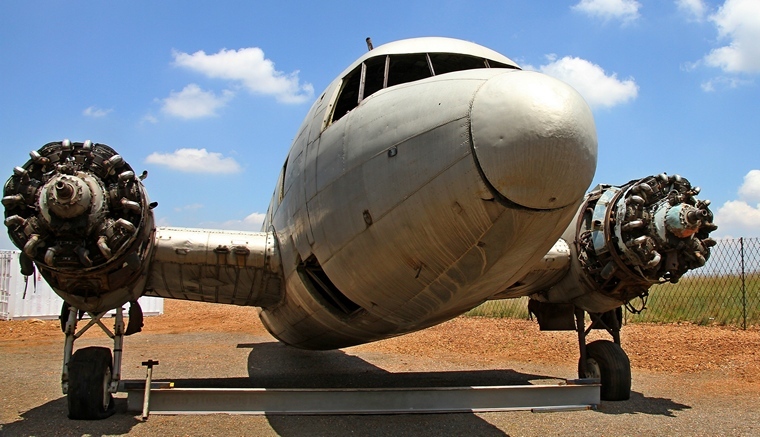 The Museum in the mean has moved to Rand Airport where its static display grew in leaps and bounds and in early 2015 there was renewed interest in the forlorn and derelict hulk. Matt Harvey from SAA Technical took on the project and preparations began in earnest to relocate her to the museum. Her tyres, after nearly thirty years in the open, were in tatters and since she was to be towed to the perimeter wall and lifted by crane onto a low bed truck a search for replacements were launched. Her wings were again removed and her fuselage cleared of twenty eight years of debris by a team of boys from the Aeronautical Society of Pretoria Boys High led by John Illsley. On Saturday the 15th of August 2016 the vertical stabiliser, rudder, horizontal stabiliser and elevators were removed thanks to Leonie van Schalkwyk and Wynand Myburgh who assisted Matt Harvey. Lifting her over the fence and transporting her by road was going to be a costly exercise that the museum, that is self-funded, could barely afford. Fortunately Marlborro Crane Hire, Africa Route Clearance and Transcor Trucking came on board and with their assistance the date of moving her was set for Sunday 22 January 2017. Sadly Victor Edward de Villiers of "Vic's Viking Garage" fame had passed away on Thursday the 8th of October 2015 but his children and their spouses and grand children were there when ZS-DKH was lifted over the wall. Many a tear was shed knowing that she was saved from the breakers yard. 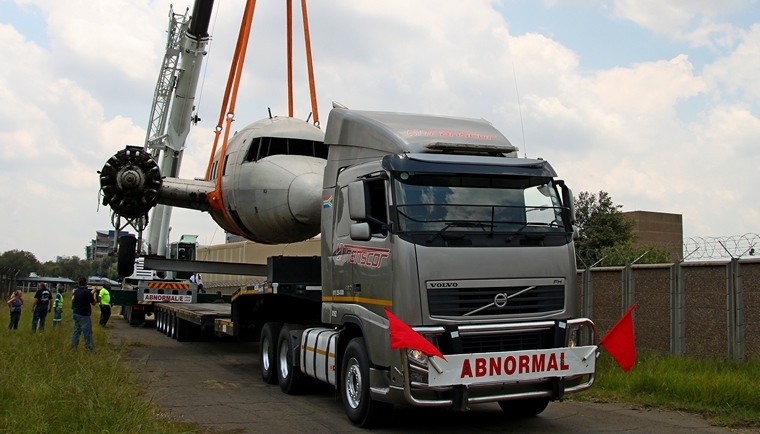 The convoy departed O. R. Tambo at 07.00 on Sunday accompanied by members of the Metro Police that eased their way down back roads to Rand she was lifted over the fence to await restoration. Thanks to the dedication of a small band of passionate members of the SAA Museum Vic's Viking that has contributed to the development of commercial aviation in South Africa been saved.